Original Swiss army knife with walnut handle. 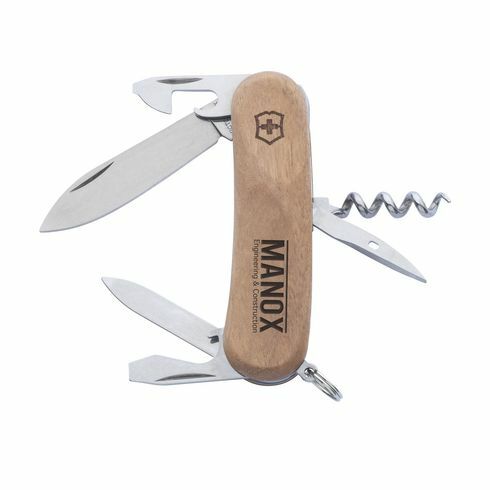 6-part with 11 functions: big knife, multi tool with cap lifter, large screwdriver and insulating pliers, multi tool with can opener and small screwdriver, reamer, nail file with nail cleaner, corkscrew and key ring. Including manual and lifetime warranty. Victorinox knives are a global symbol of reliability, functionality and perfection. Prices include monochrome print on the handle of the knife or laser engraving o the metall of the knife!